It's time again for a brand new Notion of the Month! This month we have selected Quick Points Rulers as our March 2014 Notion of the Month! 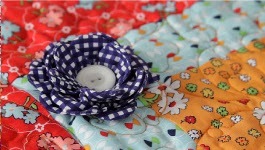 And don't forget, the Notion of the Month is 20% off all month long! We were first introduced to Janet Platt's Quick Points Rulers at Quilt Festival in Houston. After watching Janet energetically demonstrate her rulers, we knew this was a product we wanted to sell. We also knew that the rulers look a little intimidating, and decided to arm our customers with a wealth of resources for using and creating cute projects with them. 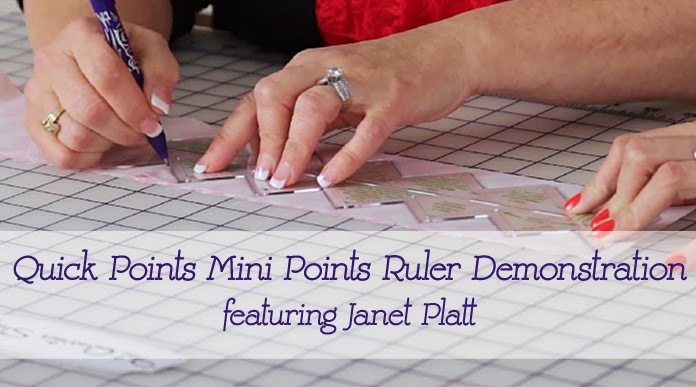 So we spent a few days of fun filming demonstrations and tutorials with Janet Platt of Quick Points Rulers! 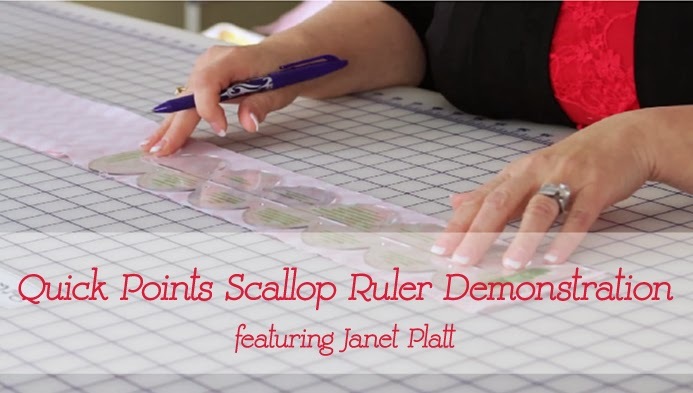 The Scallop Rulers come in varying sizes to make the perfect scallop for your projects. We recorded a simple demonstration video to show you how to use the ruler, so watch it and get started. We have a 1/2", 3/4", 1", 1 1/2", and 2" Scallop Rulers in stock, so the choice is yours. Janet's Prairie Points ruler takes the tediousness out of sewing Prairie Points. You no longer have to sew them one by one by one! 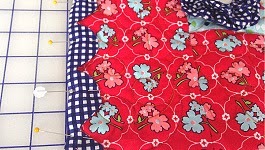 Watch the demonstration video and try this new method for sewing Prairie Points. We carry the 1", 1.5", 2", and 3" to sew prairie points quickly and easily. The Quick Points Mini Points Rulers are perfect for adding a little zig zag to your projects. 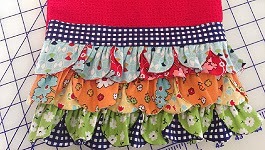 Watch the video demonstration video for instructions and plenty of project ideas. The Mini Points Rulers come in 3/4", 1", and 1 1/2"! If you are anything like us, after seeing these rulers in action your head is probably swirling with ideas. 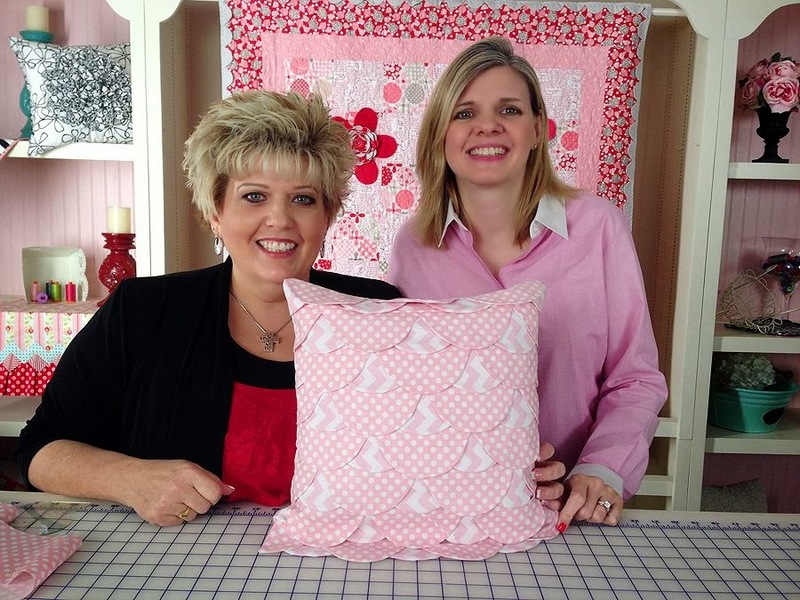 Lucky, Janet was able to stick around and film some FREE project tutorials to get you started! 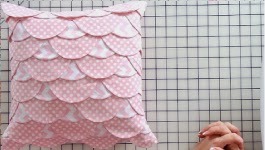 We have the Scalloped Pillowcase Tutorial, Scalloped Binding Tutorial, Tea Towel Project Tutorial, and Scalloped Rose Tutorial. Are you inspired by these amazing Quick Points Rulers? Our entire stock of Quick Points Rulers is 20% off all month long! Now is your chance to try them out!